In the small SUV segment, the Hyundai Creta has been performing exceedingly well ever since it went on sale in the domestic market. The reason behind its success are not just the powerful engines, advanced features and appealing look, but also the much convenient after-sales services provided by Hyundai Motor India Limited (HMIL) throughout the country. Hyundai is now working on its facelift to keep the things fresh and stand strong amidst the competition. The new Hyundai Creta 2018 has already been spotted earlier on the Indian streets and is all prepared to debut at the Auto Expo 2018, which is scheduled to happen in February. 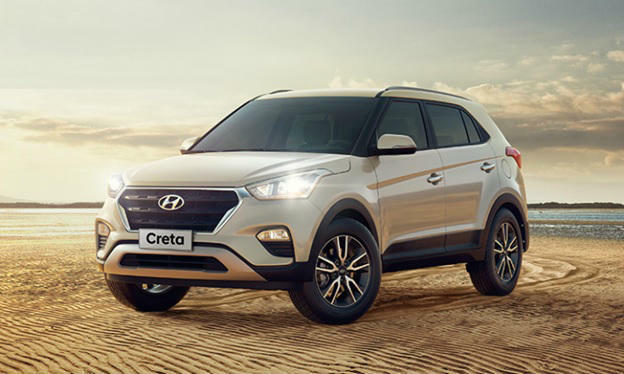 As per the sources, Creta facelift is expected to launch in the second quarter of the year in India, while it is already available in the Brazilian market. Here are the details of the new 2018 Hyundai Creta. The new and refreshed Hyundai Creta will come with the same engine specifications that are found in the ongoing model. The petrol variant will be powered by a 1.6-litre dual VTVT four-cylinder, which is capable of producing a maximum power of 121 bhp and churns out a peak torque of 151 Nm. This particular variant will come paired with a 6-speed manual and 6-speed automatic transmission system. 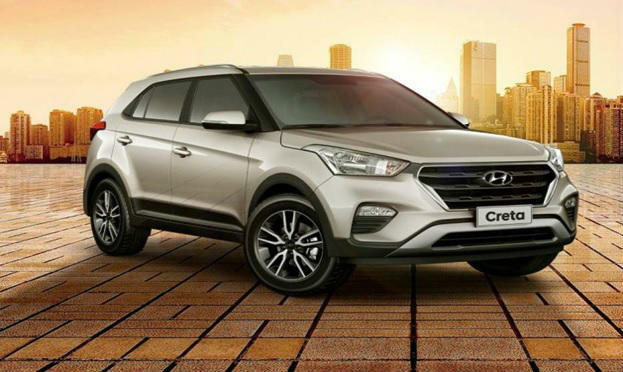 The current Creta offers two diesel variants - 1.4-litre and 1.6-litre CRDi turbocharged engines. The new Creta will offer the same engine specs on the two diesel variants. The variant with the smaller engine pushes out a power of 126 bhp and 220 Nm of torque, while the bigger engine develops 126 bhp and 259 Nm of power and torque respectively. The 1.4-litre diesel engine is paired with a 6-speed manual gearbox, while the other one comes mated to a 6-speed manual transmission as standard and a 6-speed automatic transmission as optional. Coming to the mileage section, the figure seems to be the same as the ongoing variants. While the mileage for the petrol variant is around 15.29 km in a litre, the two diesel variants are capable of going a long way in just a litre. The mileage for 1.4-litre and 1.6-litre diesel engine read as 21.38 kmpl and 19.67 kmpl respectively. The 2018 Hyundai Creta will come with a lot of changes as compared to the outgoing version. There will be a newly-designed bumper, new horizontal front fog lamps, and a restyled cascading front grille at the front. The rear profile is expected to be enhanced by a set of new tail lamps and a revised bumper. The car is also expected to come with a set of new alloy wheels that will give a nice attracting look. As you will get inside the new Creta, you will be offered with a revised dashboard with an all-new infotainment system enhanced by a touch screen interface. The upholstery is expected to get better in the new version of the car. Also, advanced features like Android Auto and Apple CarPlay are expected to get featured. The 2018 Hyundai Creta will come with all the necessary braking and advanced safety features that will ensure that all the occupants sitting inside the car are safe and secured while on a ride. Dual front and side airbags, Anti-lock braking system (ABS), Electronic Brakeforce distribution (EBD), electronic stability control (ESP), traction control, and brake and hill assist will be offered on this small SUV car. Hyundai has introduced Creta roughly three years ago, and since then the car has garnered a lot of traction. With the new 2018 Creta, the company seems to be confident enough with the kind of features they have enrolled in it. Now, it is the price range that will decide the fate of the car. However, the small SUV is expected to be priced at Rs 9 lakh and would go up to Rs 15 lakh for the top-end variant. In this price range, the 2018 Creta will compete with the likes of Tata Hexa, Jeep Compass, Renault Duster, Mahindra XUV500, etc. You can read about its competitors in detail at Autoportal.com for a better understanding.